Integrates with the Health and Activity app. Can I delete a wave or a complete surf session? Yes you can. On your iPhone open the surf session on the map. Now in the bottom panel you see your session summary. Use the "..." icon to delete the session. To delete a wave, select the concerning wave on the map. You can also swipe this bottom panel to "page" through the waves you surfed during that session. 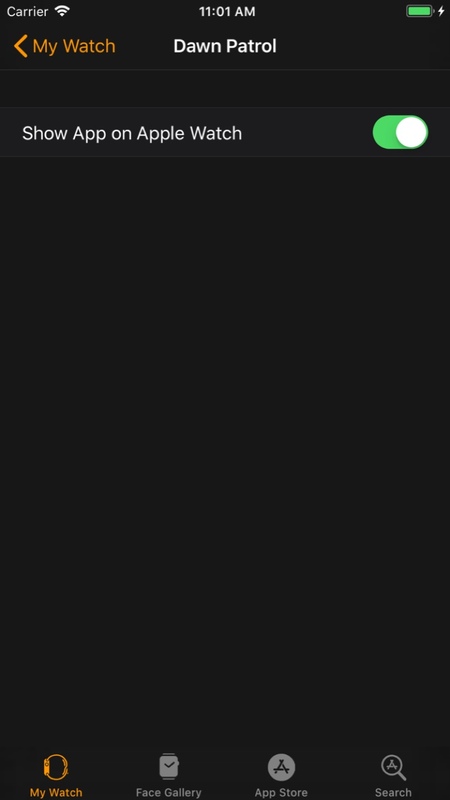 To delete a wave, select the concerning wave and use the "..." icon. 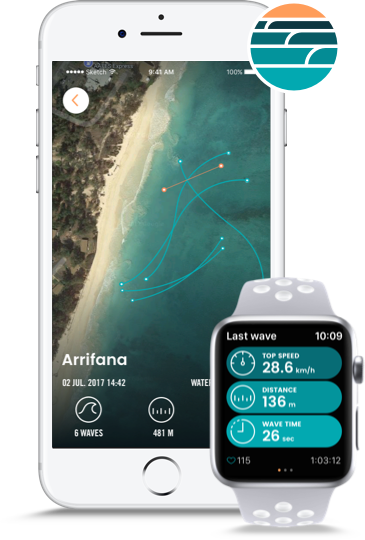 How can I synchronize surf sessions from the Apple Watch to my iPhone? 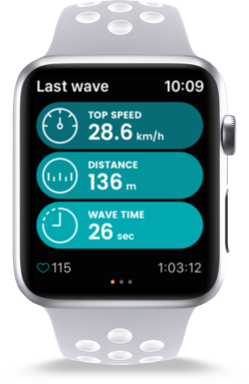 Make sure that after you finished your surf, you "STOP" the surf session on your Watch. 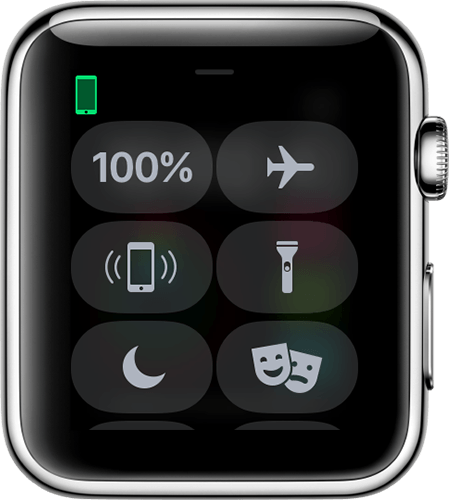 The synchronization will then happen automatically when your Apple Watch is within reach with your iPhone. Still not synchronizing? Make sure your Apple Watch and iPhone are connected. You can do this by swiping up from the bottom on the home screen of your Watch. 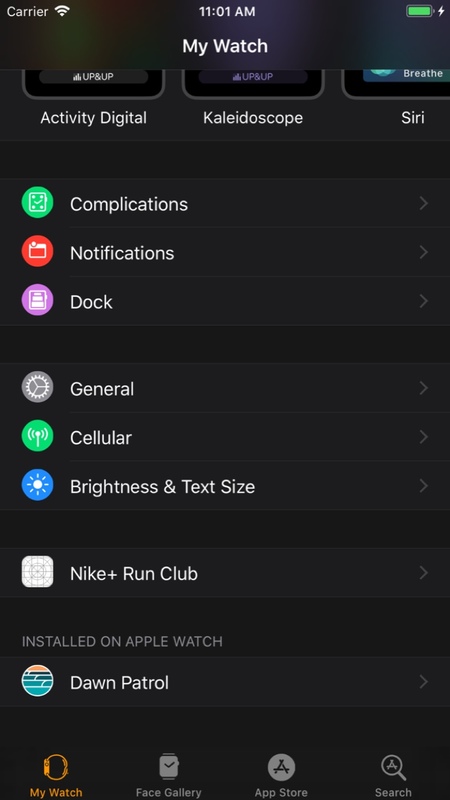 A green iPhone icon indicates your Watch is connected, a red icon indicates it's not connected or paired correctly. If you're experiencing connection or pairing problems with your Apple Watch or iPhone, please read more instructions on the Apple Support page. My heart rate and calories burned are not being measured or stored. How do I activate that? Possibly you did not give Dawn Patrol access to this data. In order to do so, open the health app on your iPhone. In the bottom tab bar click on Sources and then allocate and open Dawn Patrol. 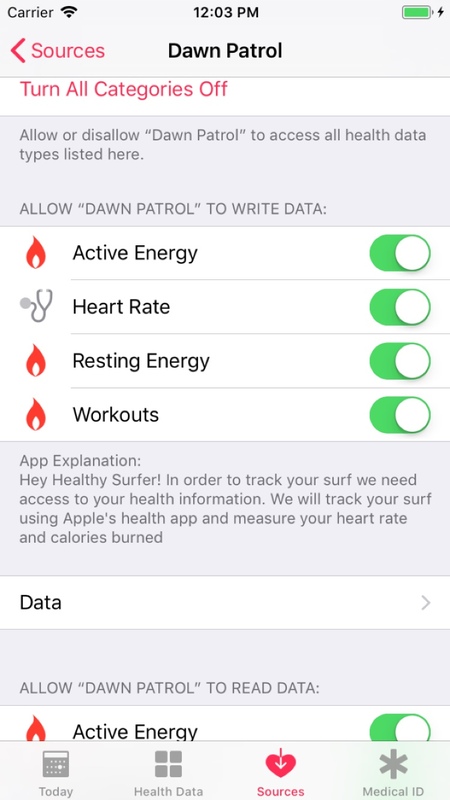 Now make sure all categories are ON, and Dawn Patrol will start to measure and register your heart rate, calories burned and other health information. How can I transfer my Dawn Patrol data no my new phone? 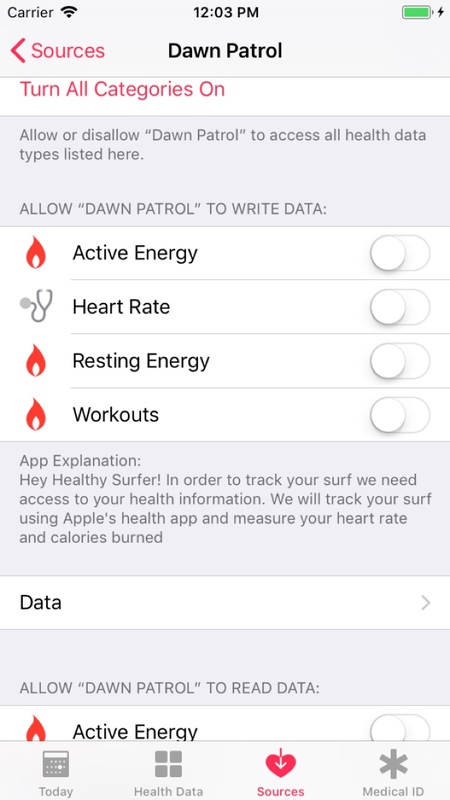 Make sure your old iPhone is logged in in the Dawn Patrol app. You can log in using your email address or using Facebook. Log in with the same account on your new iPhone, and your data will automatically synchronize. If you don't want to log in you can simply restore a backup of your old phone to your new phone, and your Dawn Patrol data will be transfered. Toggle the switch “Show App on Apple Watch” and confirm by looking on your Watch that the Watch app is reinstalling. 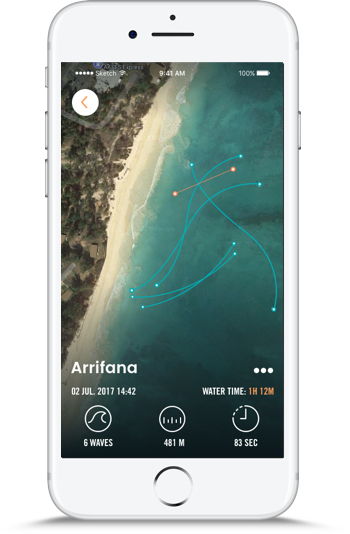 Having said that, we do rely on the GPS information the device you use in the water provides. Most of the times this works well, but in some beaches or some occasions the GPS info is less accurate than others. With every release we improve the app and the accuracy of the measurements. We keep learning from the data we’re getting onwards. We always love to hear what you think. Send us a message, we read them all.